Our daily life in London is demanding and stressful like never before. It becomes increasingly difficult to spend quality time with friends and family, let alone having time for ourselves. 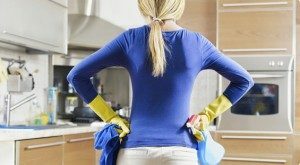 We are Cleaners Putney and can offer you top quality domestic cleaning solutions for your home at the most competitive rates in Putney, SW15 London. In such a situation, the task for cleaning our home takes a backseat. We know that a dirty house is a comfortable place to all kinds of diseases. The presence of a professional cleaner in your house can be quiet a relief in this situation. It definitely became a necessity and not a luxury to hire some professional help in order to perform the domestic cleaning tasks for you. The expectations of the society from each individual are to maintain a great social life with an equally rewarding career. Party out with friends; give time to family and also have a spotless household. Managing all this is extremely difficult. Having professionals for help in cleaning can also help in having leisure weekends. One can gain more time to give to family and friends on a regular basis. Cleaners Putney can perform any kind of domestic cleaning. The size of your property does not matter. It might be a studio or a small flat, a big house or for that matter, even a manor. Our services are not just for the busy professionals, sick and elderly families also need assistance in domestic cleaning to keep ailments at bay. Our services are available anytime of the day and any day of the week as per your convenience. The cleaning agents are most reliable and available for interview if the hirer desires so. Their references are well checked from our end and we would not let anybody you wouldn’t want to your homes. However rearrangements of a schedule, once fixed, is difficult.